Lavender oil can help you reduce stress and improve sleeping problems? Pamper yourself this January with candles and lavender oil and let your body and mind recuperate from the post christmas blues and the stress of going back to work. The New Year is the time for resolutions and making a fresh start, but for many people, January brings about a pause in positivity. This is something known as the “January blues,” and according to therapist worldwide, it is very much a real condition. To counter the negative emotions, the cold weather and short days, we must make the time to put ourselves near the top of our priority list and fight away the ‘January blues’. A great way to pamper yourself is to run a nice hot bath with lavender bubble bath or lavender scented bath salts. Whilst the bath is running if you light some candles to set the mood and have some relaxing music playing this will start the relaxation process. Why not turn off your phone and leave social media and the outside world alone for a few hours whilst you make this time all about yourself and day dream about your next holiday in the sun. Work can wait, but your body can’t otherwise you will become burned out, which can lead to health problems. A great tip is to fill the air with the scent of lavender oil as this is proven to reduce stress and anxiety. The best ways to do this are to either add lavender to an oil burner or to add one or two drops of lavender oil to a bottle with water and spray around the room. 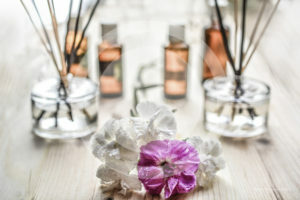 If you are also suffering from sleep problems then spraying some lavender oil around your bedroom would also be a great way to combat sleep deprivation.